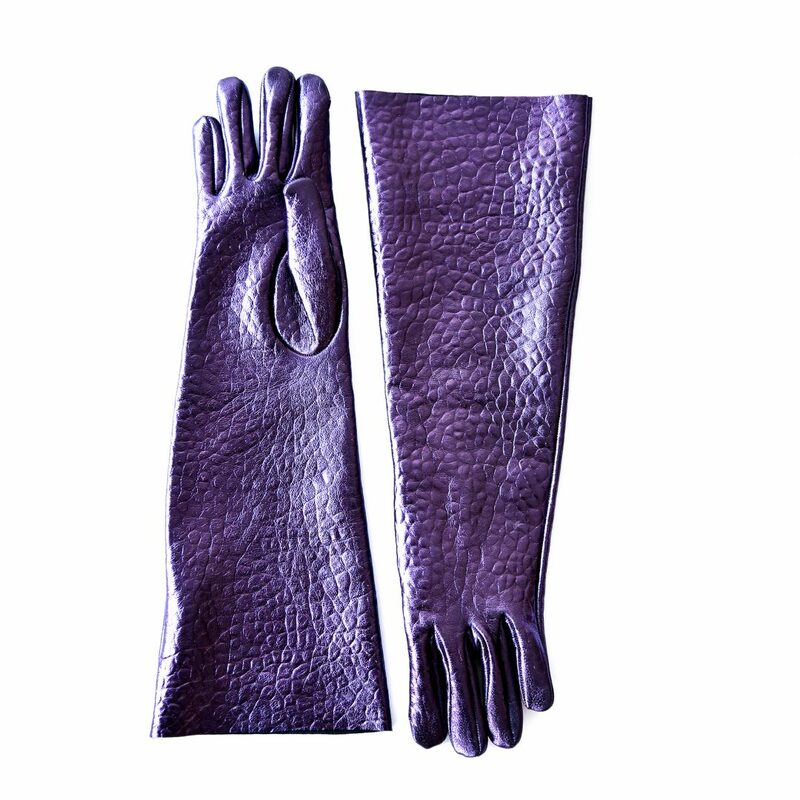 Leather purple gloves. Wide line. One size.